No. 739. Copyright Religious Tract Society. 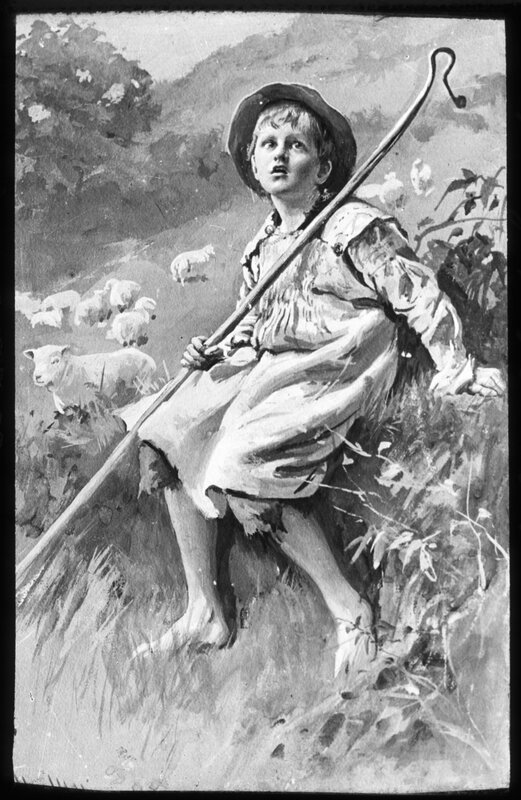 Makers Newton & Co. Handwritten captions 'a lads prayer' and 'The shepherd boy'.